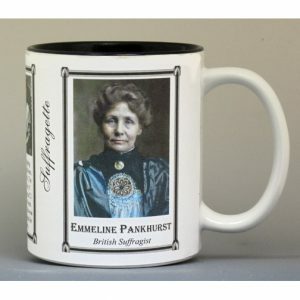 The struggle for women’s suffrage in the United States began in the 1840s, with the most significant event being the first women’s rights conference held at Seneca Falls, New York in July 1848. 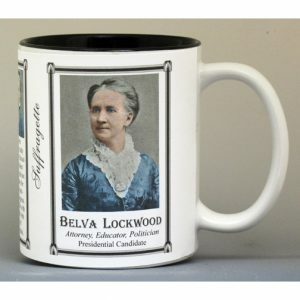 More conventions followed and two national suffrage organizations were formed in 1869 and later merged in 1890. It wasn’t until 1920 when the 19th Amendment to the US Constitution established that women had the right to vote. 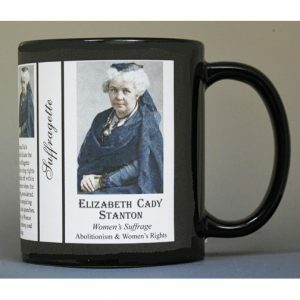 The Harriot Stanton Blatch mug is part of a biographical series profiling unique authors and includes an image of Harriot Stanton Blatch and a short biography. 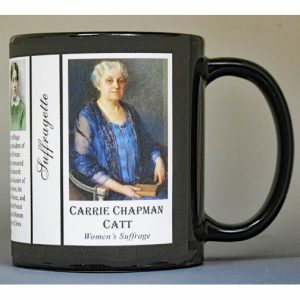 The Carrie Chapman Catt mug is part of a biographical series profiling Suffragettes and includes an image of Carrie Chapman Catt and a short biography. 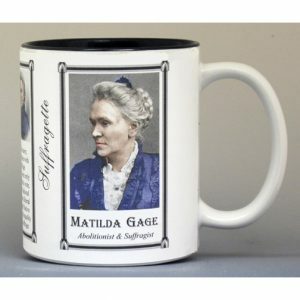 The Arabella Mansfield mug is part of a biographical series profiling unique authors and includes an image of Arabella Mansfield and a short biography. 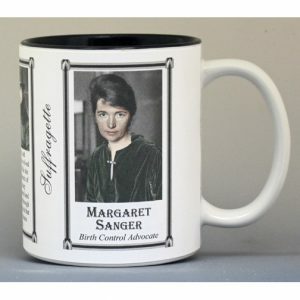 The Katharine McCormick mug is part of a biographical series profiling Suffragettes and includes an image of Katharine McCormick and a short biography. 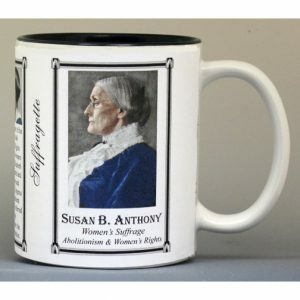 The Lucretia Mott mug is part of a biographical series profiling Suffragettes and includes an image of Lucretia Mott and a short biography.